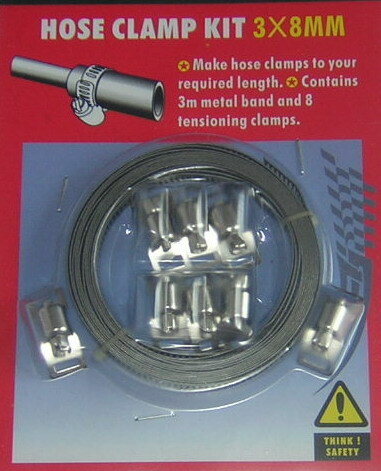 3metres of metal band and 8 clamps to make your own hose clamps/clips. Cut to any size you need. Use in garage, garden, home, etc.